What You Missed: Dave & Busters Birthday Bash! This past Sunday, SPLI members gathered at Dave & Busters in Westbury, NY to celebrate the birthdays of many SPLI members. We played lots of awesome arcade games, talked strategy on the latest StreetPass games that were released last week, and some members even did some hunting in MH4U at the event! 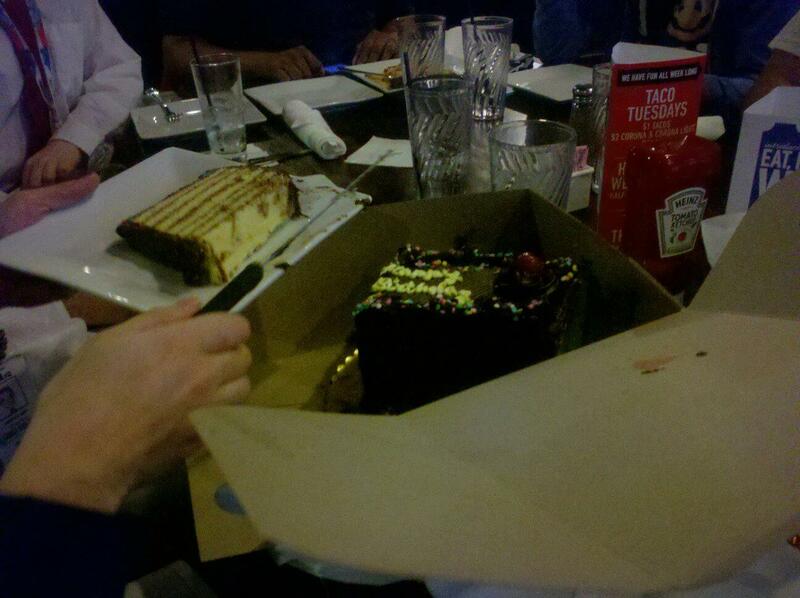 Of course, what would kind of birthday party would this be without cake? We all sat down together for a meal and shared some delicious cake that was generously donated by SPLI member Damon D.
Happy Birthday to all SPLI April Babies! Thanks to everyone who came to celebrate our birthdays, we had a lot of fun and met lots of new friends! See you at our next event, this Sunday (4/26) for our next Amiibo Only Tournament from 5-8pm! 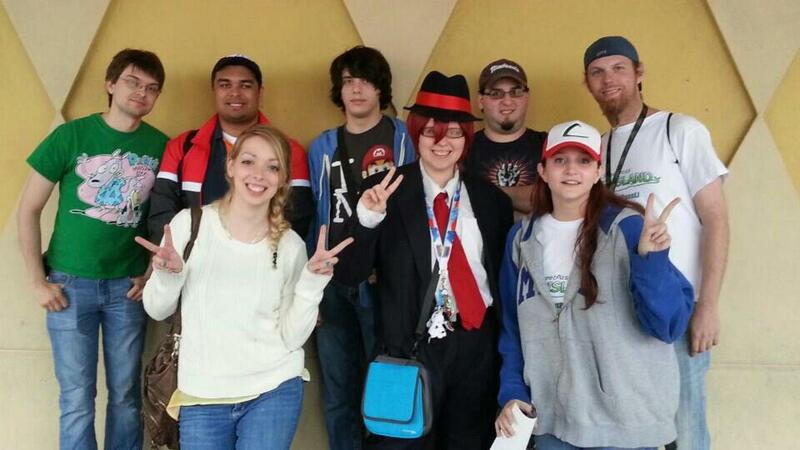 Two years ago, SPLI held a birthday party event for a few Admins who all happen to have a birthday in April. Well… this year we decided to do it again! Unfortunately our favorite DnB (Farmingdale) closed a few weeks ago, so we will be hosting this event at the Westbury location. It is somewhat accessible to public transportation! You can either take the LIRR to Carle Place (rare) and walk, or take the LIRR to Mineola and take the N24 bus down Old Country Road to reach Dave & Busters at the Source Mall! What You Missed: SPLI April Birthday Bash! 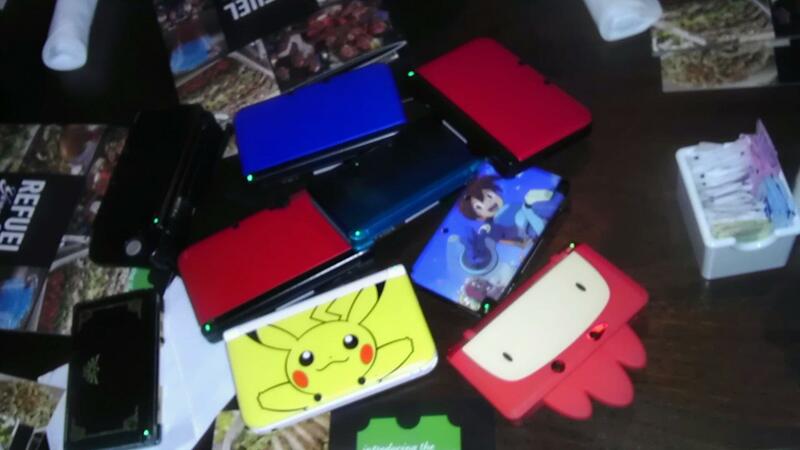 To celebrate the birthdays of several StreetPass Long Island group members, a meet up was planned at Dave & Busters in Farmingdale, NY on 4/28/2013. 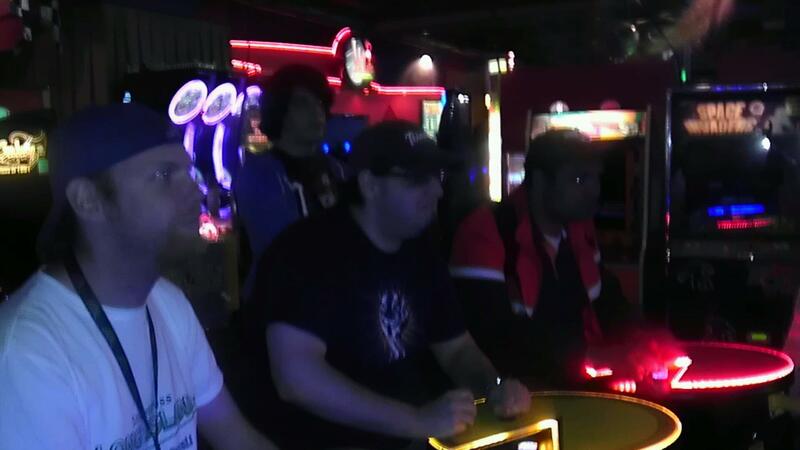 The group had a lot of fun playing arcade games like Pac Man Battle Royale and Skee-Ball, and of course made time to play Mario Kart 7 and Find Mii II! A cake was served to celebrate the birthdays of 4 different members in attendance. Happy Birthday April Babies! For the latest information regarding upcoming events, please like the StreetPass Long Island Fan Page on Facebook or click on the Calendar button in the menu. Playing Pac Man Battle Royale! 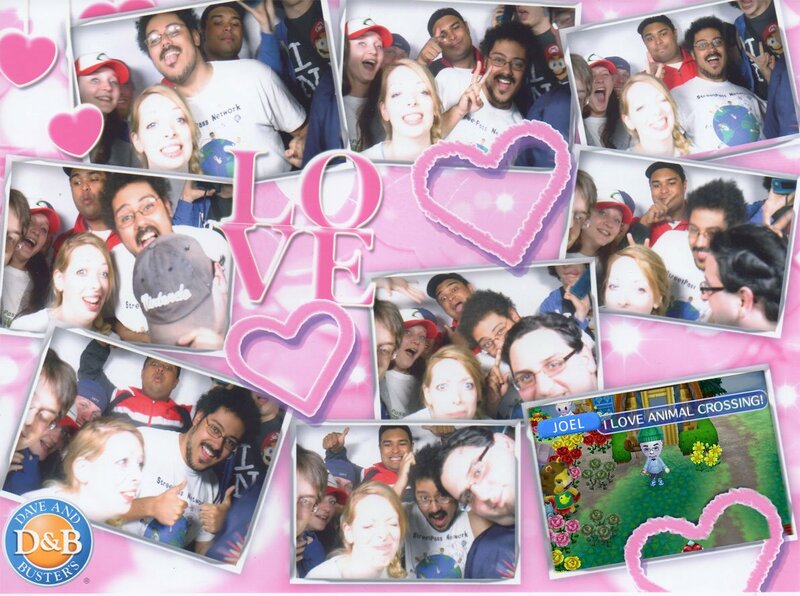 Getting everyone in the Photo Booth is not easy!